The train ride to Prague took about four hours from Berlin. It goes by quickly as I stare out the window at the passing German countryside and small towns along the way. 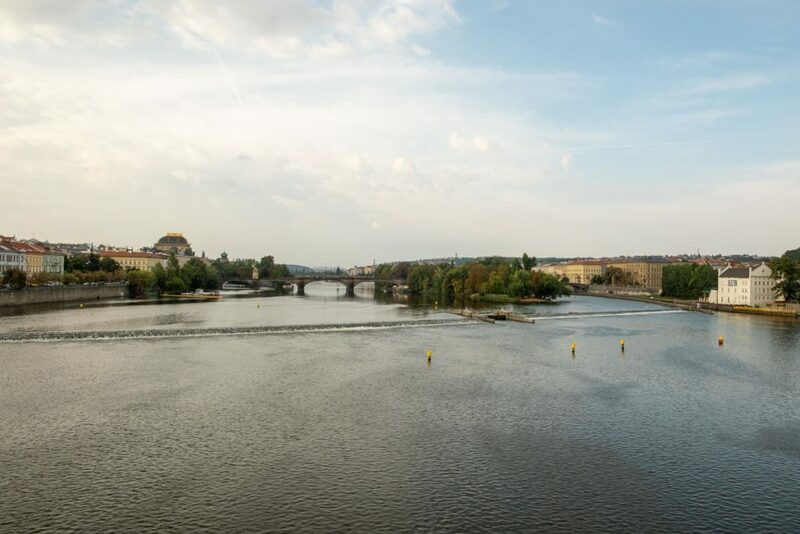 A large portion of the journey follows along the Elbe river giving some nice views as you make your way into Prague. I decide to walk from the station to my hotel which is about fifteen minutes away. 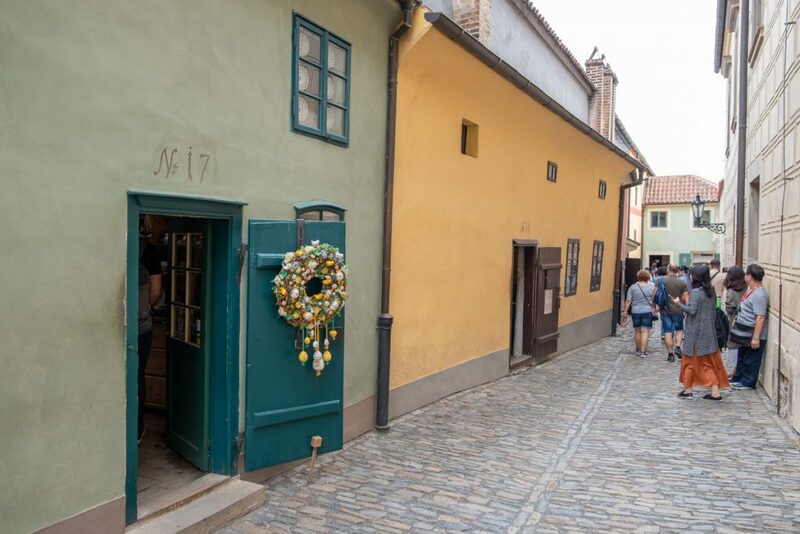 As soon as I cross the main road the streets turn into a flowing river of cobblestone, making it’s way through the old buildings. I use my phones navigation to help me find my way through the winding streets. 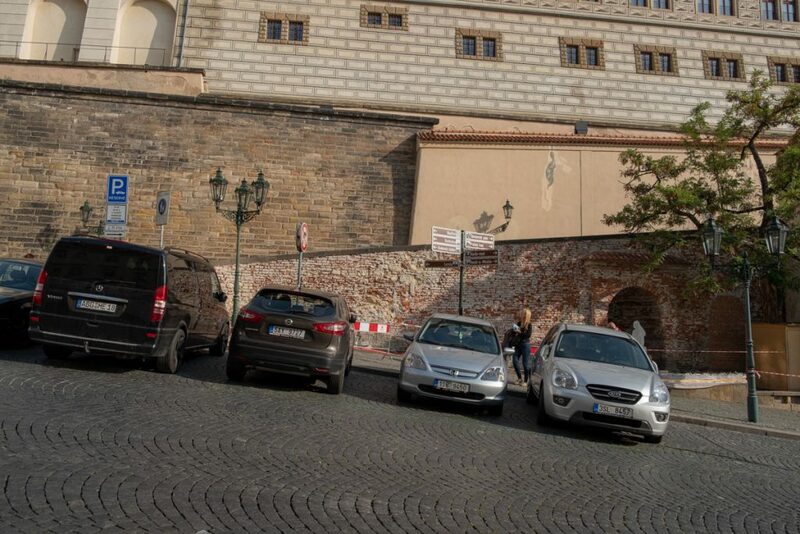 Using street signs is near impossible as they are written in Czech. 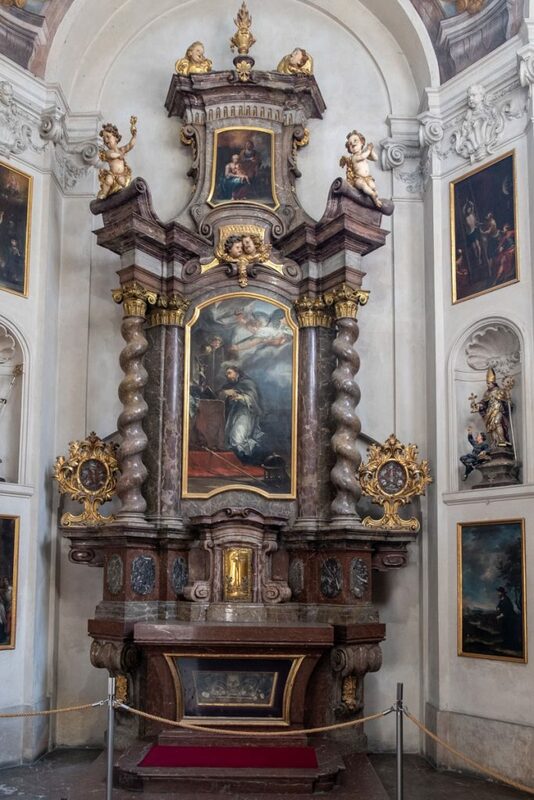 At least in Germany I had a chance of understanding what they were saying, but in Prague? I don’t have a clue. After checking in and getting settled I go out and do some exploring. 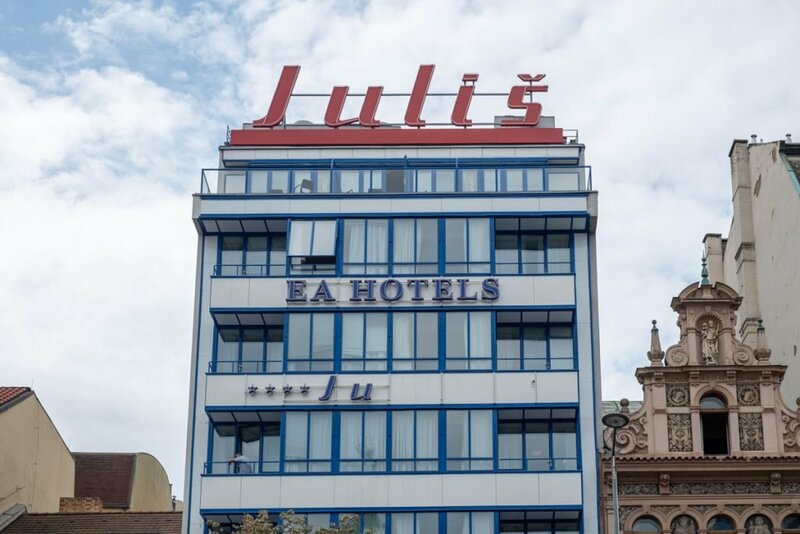 The hotel is in a prime location, a short walk from Old Town Square and a lot of the sights. 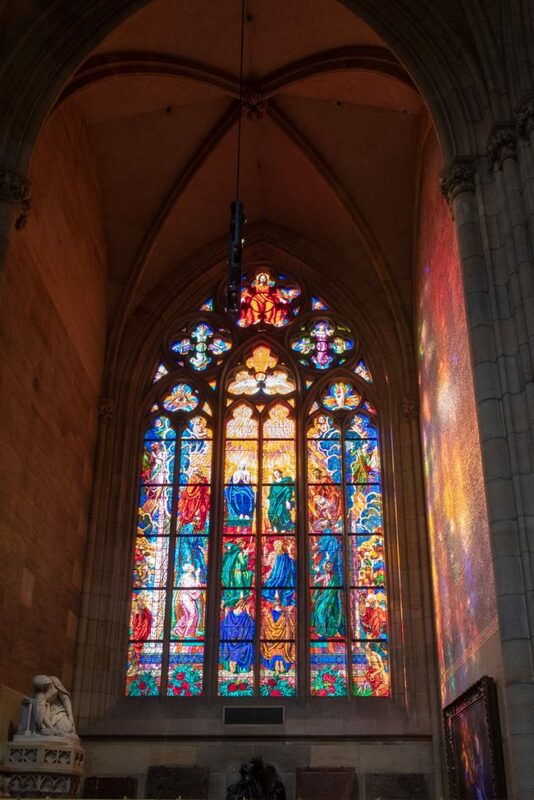 Prague is beautiful. The architecture and decorations of the buildings have me looking up as I wander about town. 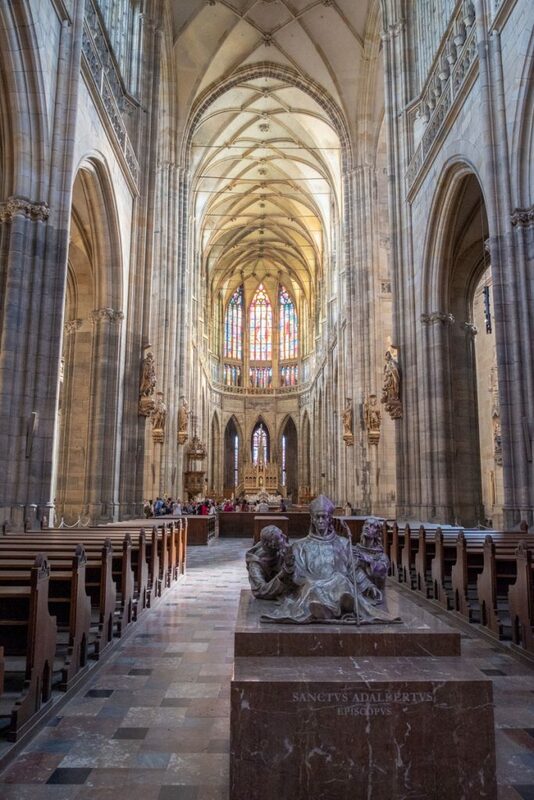 I don’t know much about architecture, but I’m pretty sure the guidebook said there is a mix of Art Nouvou, Gothic, Soviet concrete, and really old stuff in Prague. I might be paraphrasing a bit. 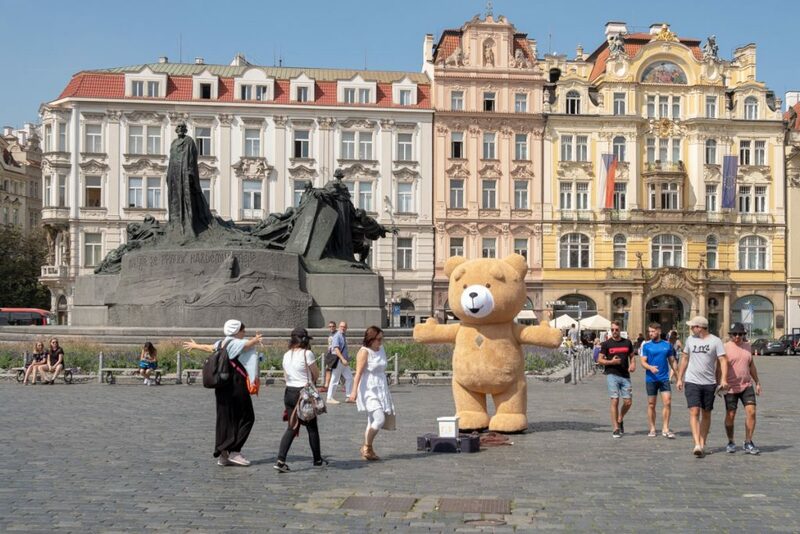 The one thing that really stood out about Prague was the number of tourists. It was bursting at the seems. If you want to find the main tourist attractions, just follow the deluge of people flowing down the streets and you are bound to run into one. 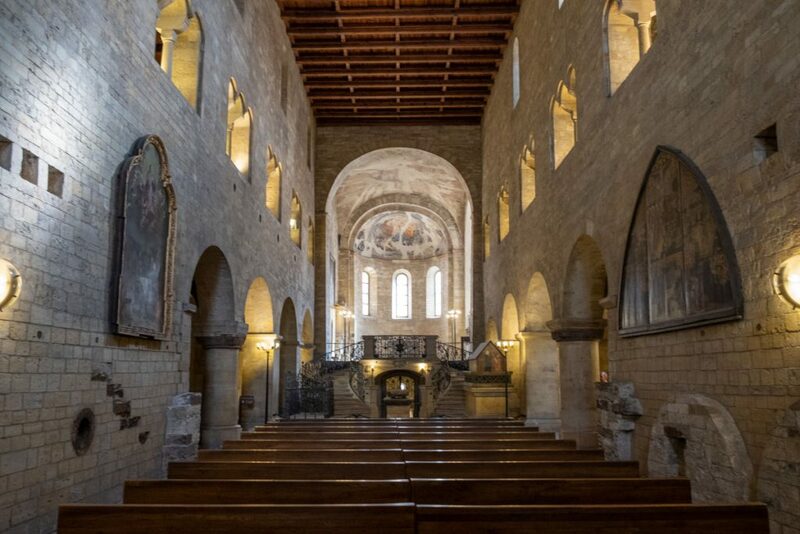 In my opinion that takes a lot of charm out of visiting such an amazing place. And yes, I do realize, I am also one of the tourists. 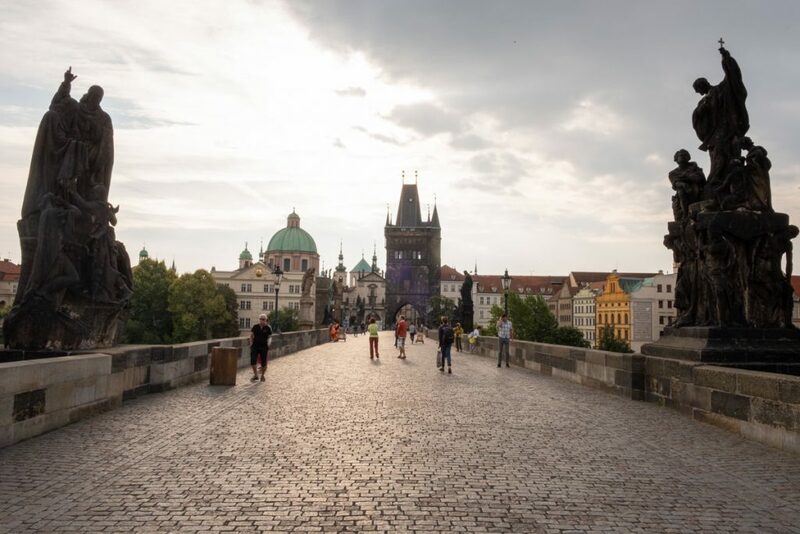 While I explored quite a bit, the main sights I wanted to visit were: Old Town Square, Wenceslas Square, Prague Castle, and the Museum of Communism. Around the square are the Gothic Church of Our Lady, St. Nicholas Church, and Old Town Hall. 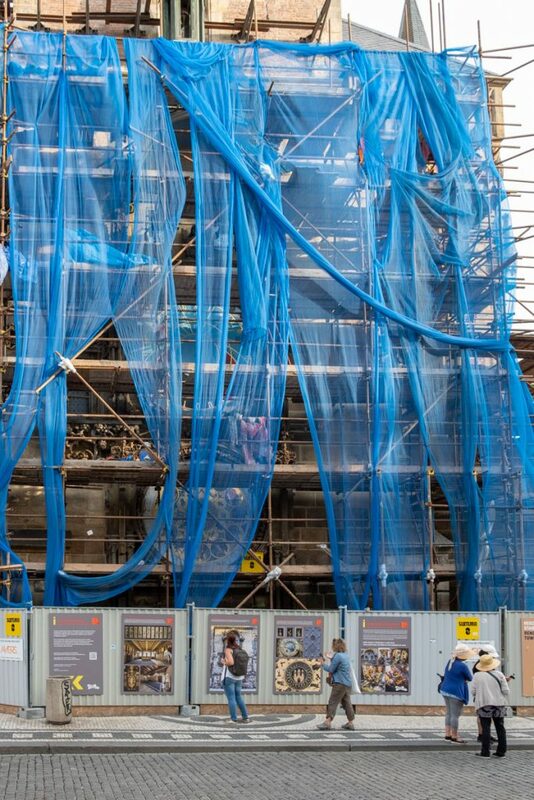 There is a large astronomical clock on the side of the Old Town Hall which is quite famous and something I was looking forward to seeing – so of course, it was under refurbishment. 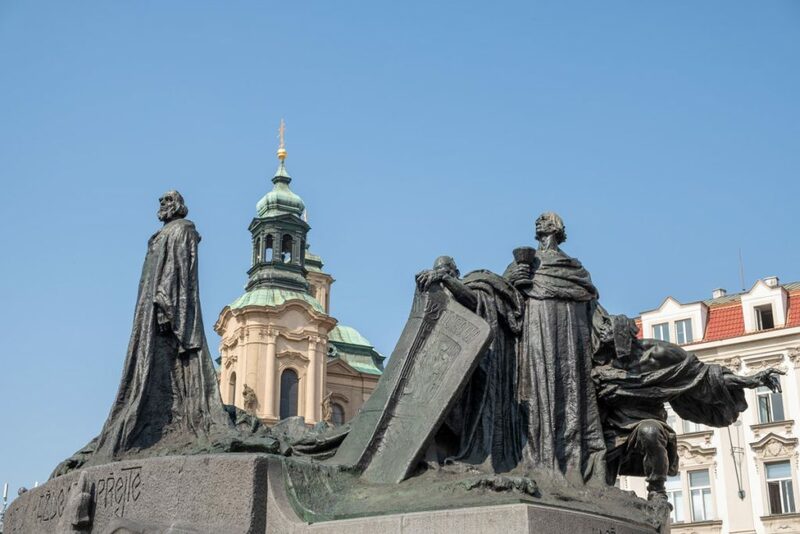 There is also a memorial statue to Jan Hus, who was executed for his beliefs and led to the Hussite Wars in the 1400’s. 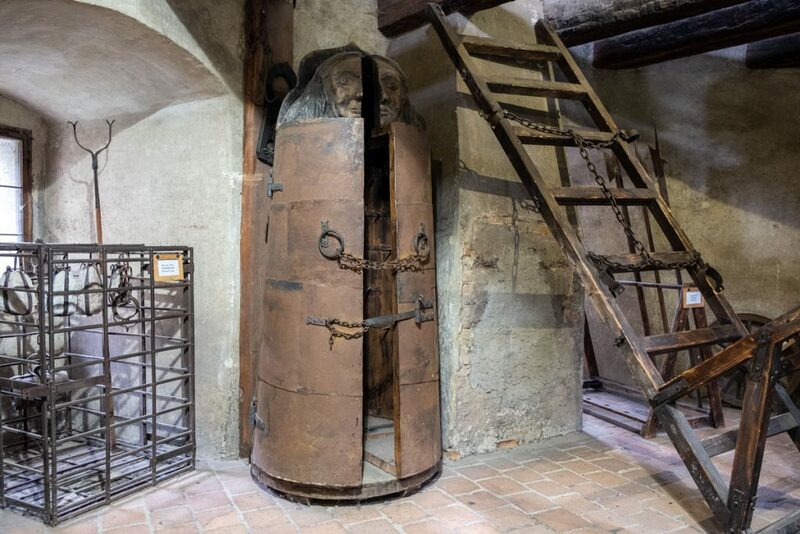 Something I knew nothing about before I visited Prague, and something I still know little about after visiting Prague. Also, Creepy Bear™ is out there looking to be paid for hugs. Named after the good King of Christmas carol fame, this square is of the rectangle variety. 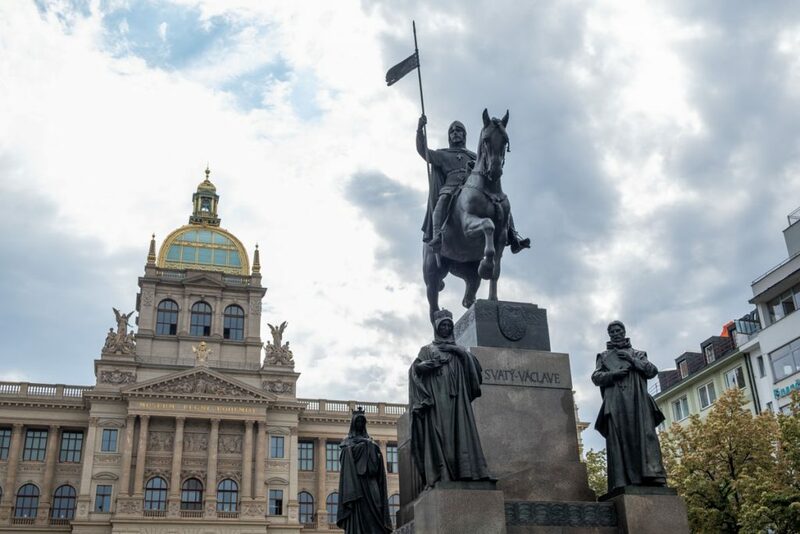 At the top of the hill sits a statue of the King Wenceslas in front of the National Museum. 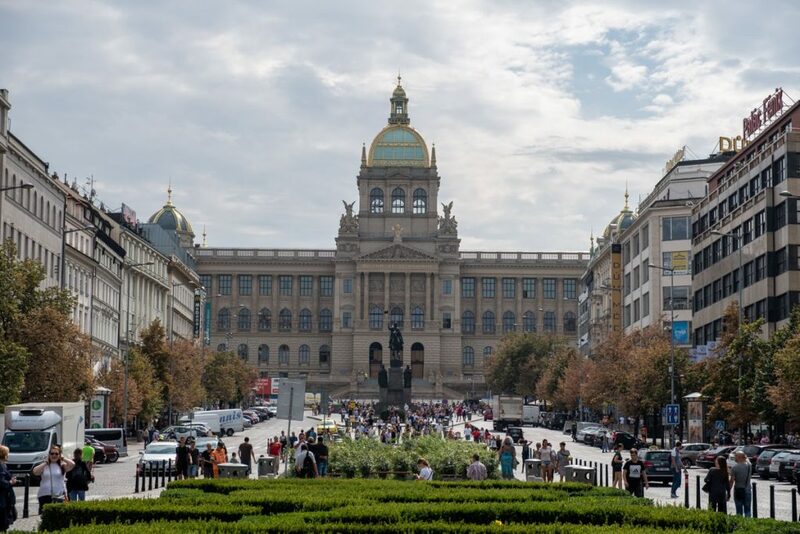 I’m most familiar with the square from the protests against the Communists and Soviet Invasion in the late 1960’s and the Velvet Revolution in 1989. I have a strange fondness for the designs of the Soviet era. 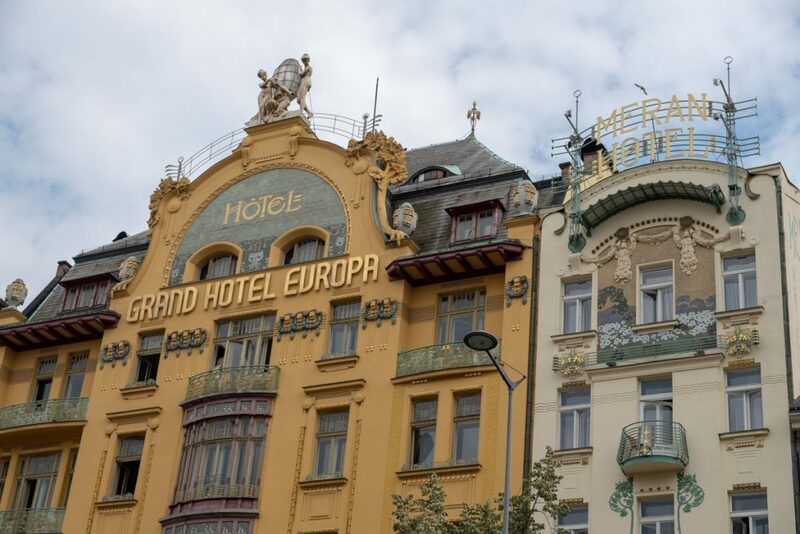 As Prague is the first country in the Eastern Bloc I ever visited, I was happy to see remnants of the building and signage untouched, mixed in among all those beautiful Art Nouveau beauties. 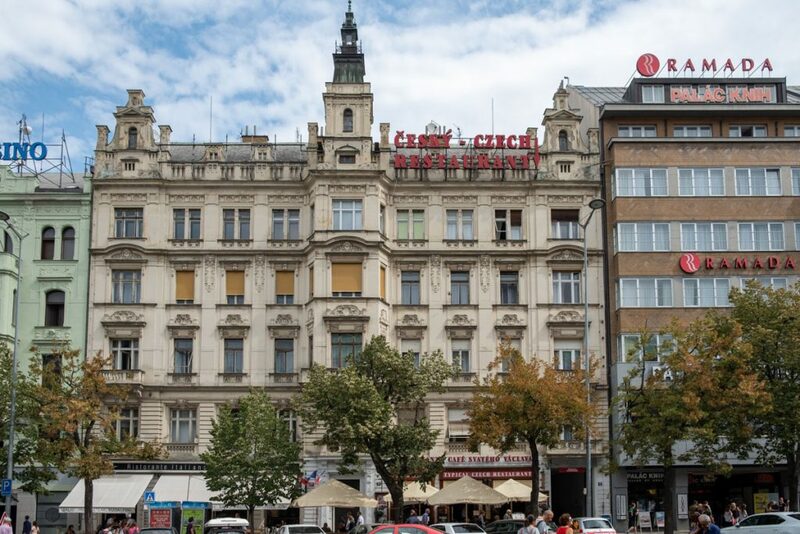 Here are a few of the cool buildings surrounding Wenceslas Square. Wasn’t this a Wes Anderson Movie? This was the true highlight of the visit to Prague. It is the largest castle in the world, and I can tell you from walking around it one morning, it is huge. I left my hotel early morning in order to beat the tourist hoards and hopefully get a few good photos. To get to the Castle you first cross over St. James Bridge, which is beautiful in it’s own right. 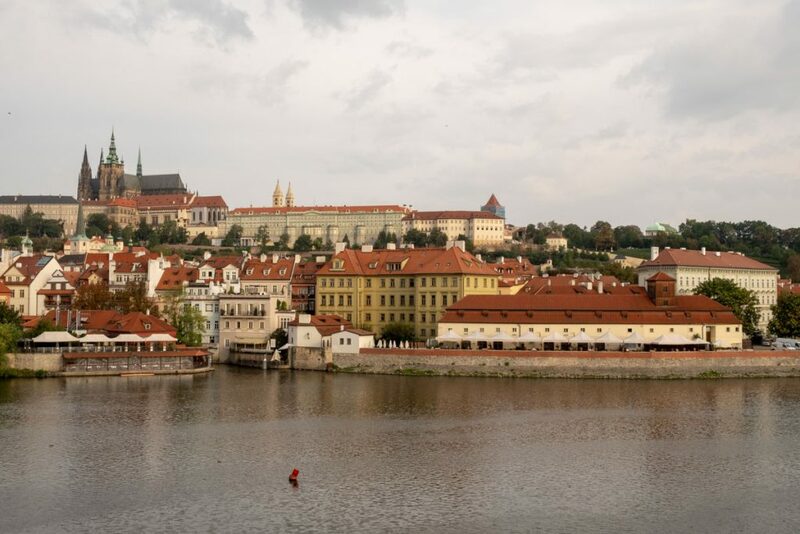 It has sweeping view up and down the Vltava river. I walked all the way from my hotel which took me about thirty minutes. 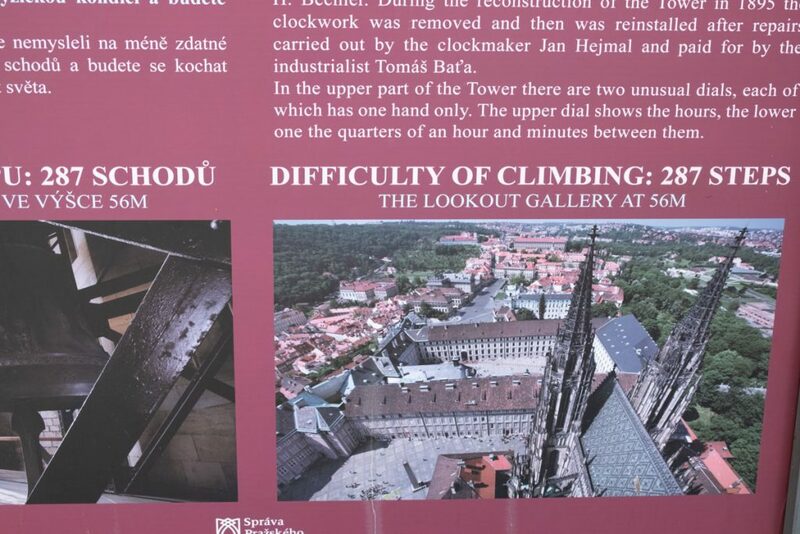 Thankfully google showed me the way, because trying to follow the signs to St. James Bridge and Prague Castle is impossible if you don’t know how they are spelled in Czech. Also, I can once again confirm that building a castle on top a hill is a great way to tire out attackers as well as out of shape tourists. And what is the first thing I see when I crest the hill to the Castle? A frickin’ Starbucks. After my initial shock and horror, and several moments of cursing America for once again ruining global culture at an alarming rate – I have to say I was pretty impressed. 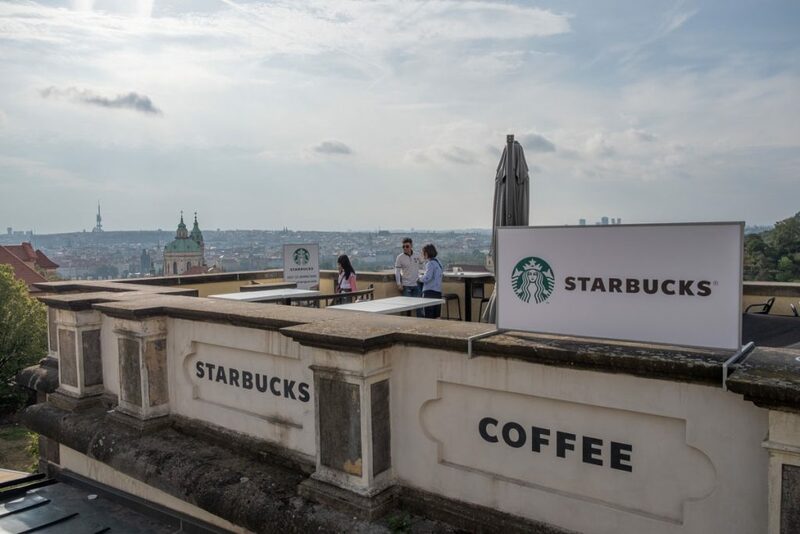 I don’t know all the other national treasures Starbucks has defiled, but this has to be the best location for a Starbucks I have ever seen. 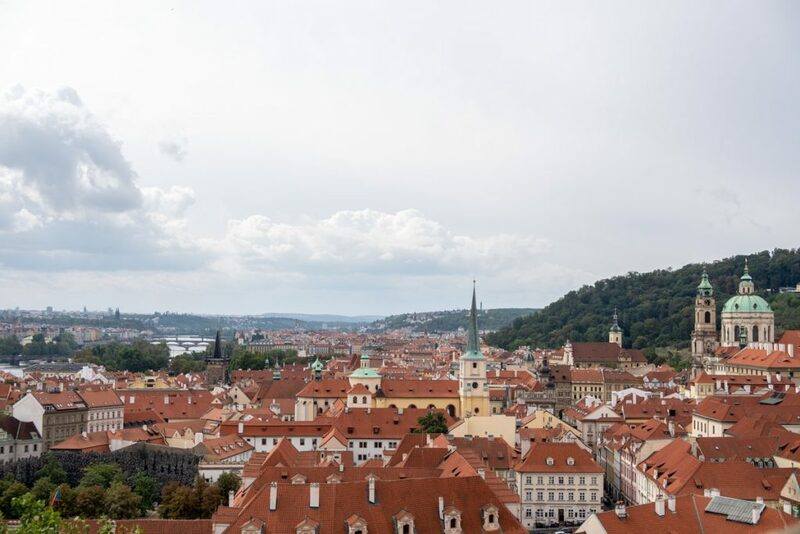 On the ramparts of a castle overlooking all of Prague. 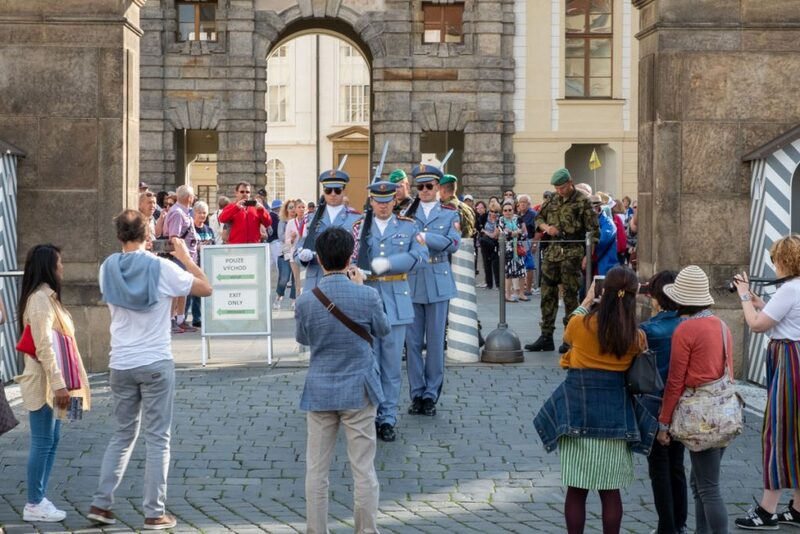 It was early in the morning so I got there right as the Castle was opening and changing of the guards was taking place. All I’ll say is that the folks at Buckingham Palace tourism department needn’t worry about the competition. 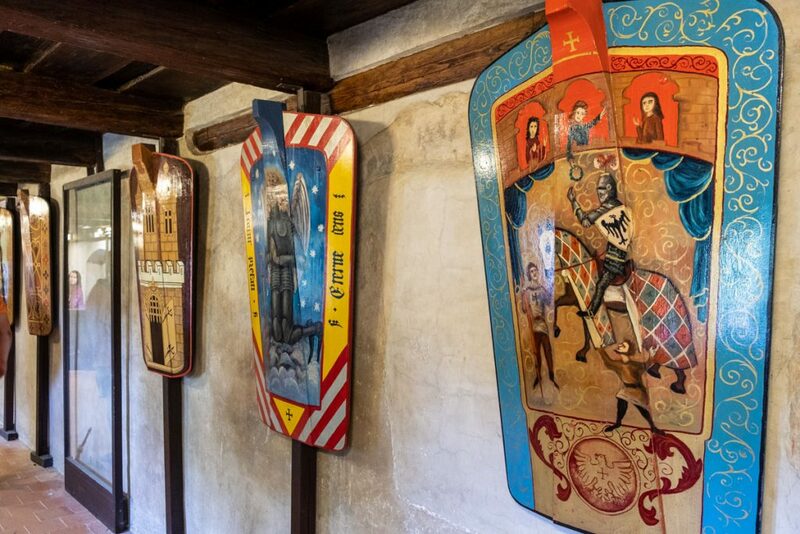 I bought my ticket for the castle, you can choose from several different levels. 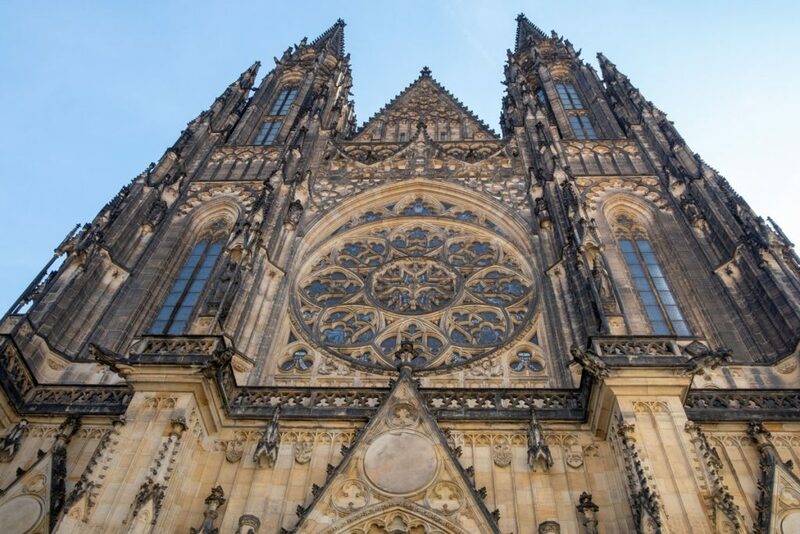 I went with Package B, which gets you into the major sights: St. Vitus Cathedral, Old Royal Palace, St. George’s Basilica, and the Golden Lane. 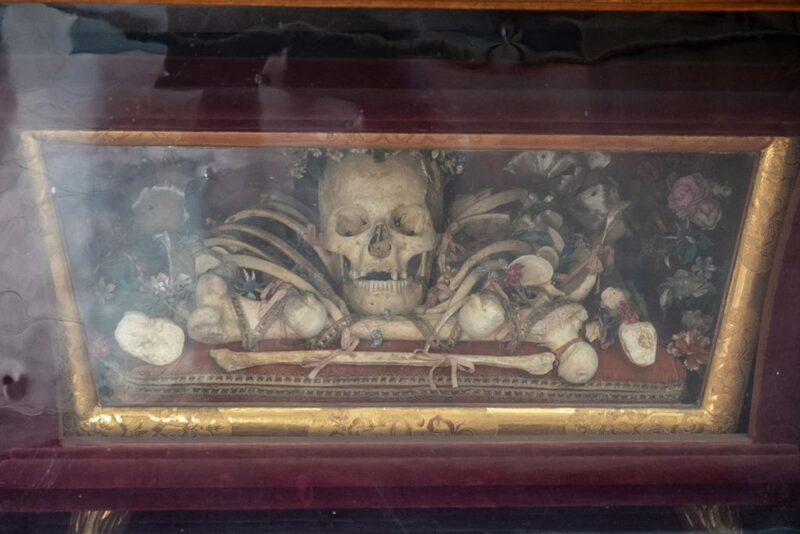 I popped into St. Vitus, did a wow, that’s pretty, and moved on. 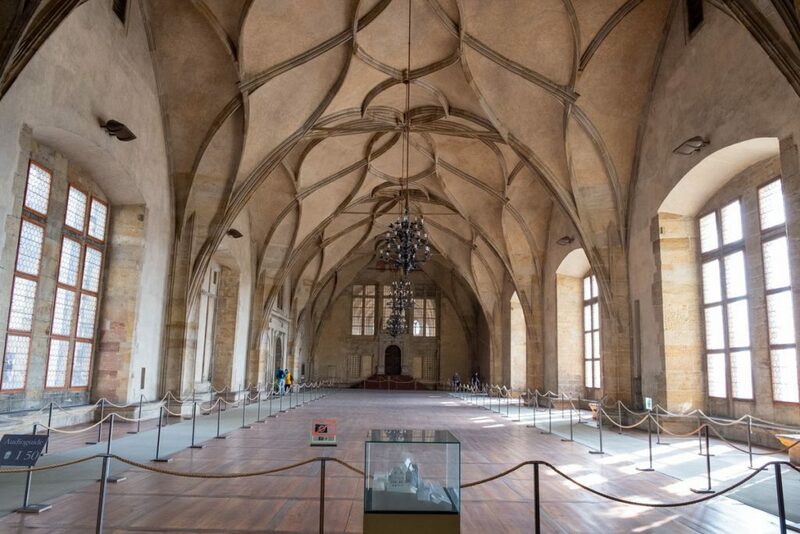 The old Royal Palace was interesting, but a very short tour of only a few rooms. No photos are allowed inside. I took this photo of the sign to remind myself I shouldn’t take photos in there. Around back there is a tower you can pay to climb to get some amazing views. Made a judgement call to give it a pass after reading the sign. St. George’s Basilica on the other hand was really cool. 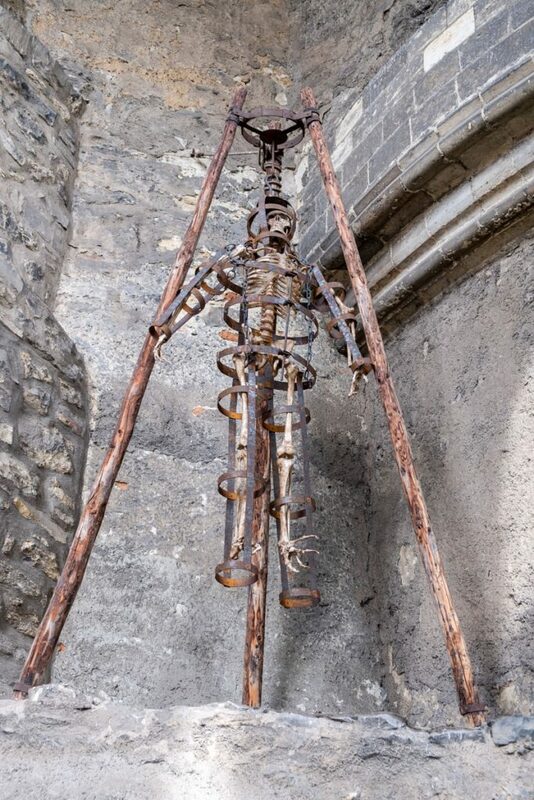 It had a medieval vibe that I really liked, plus a skeleton. The Golden Lane was pretty neat two. It’s a row of tiny houses on one side of the castle that had been occupied up until the 1950’s. 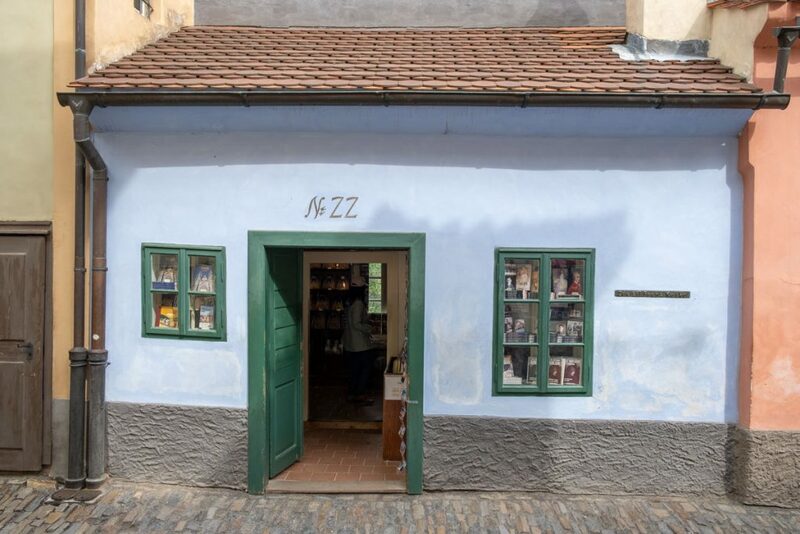 They are now museums and bookshops. 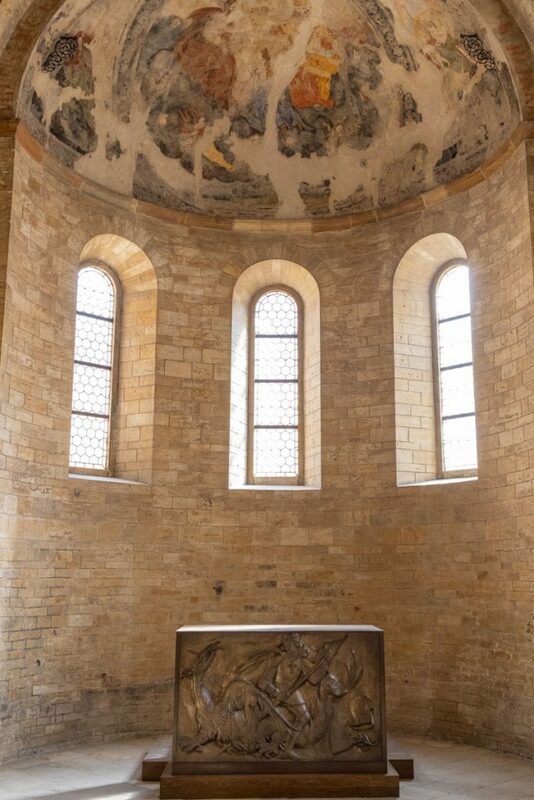 Some rooms are setup just like they were during different periods of history. 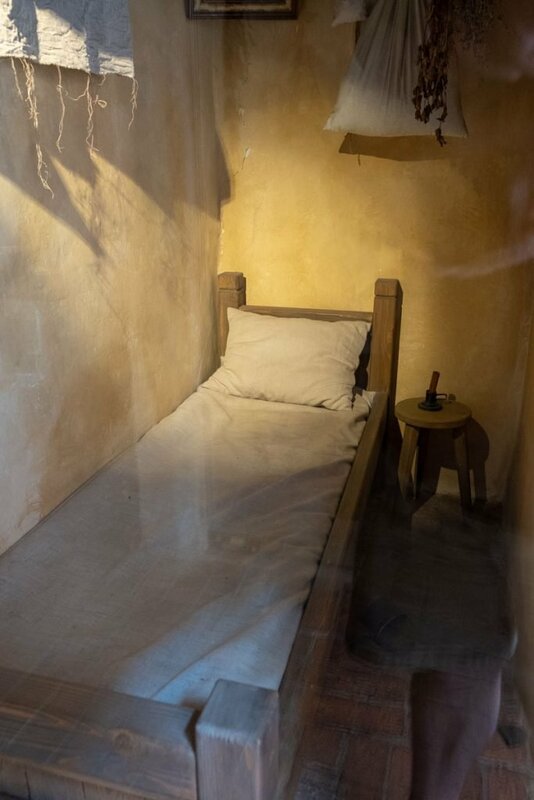 The most famous room was where Franz Kafka once lived. Now a gift shop. I won’t complain about the size of my hotel room any longer. 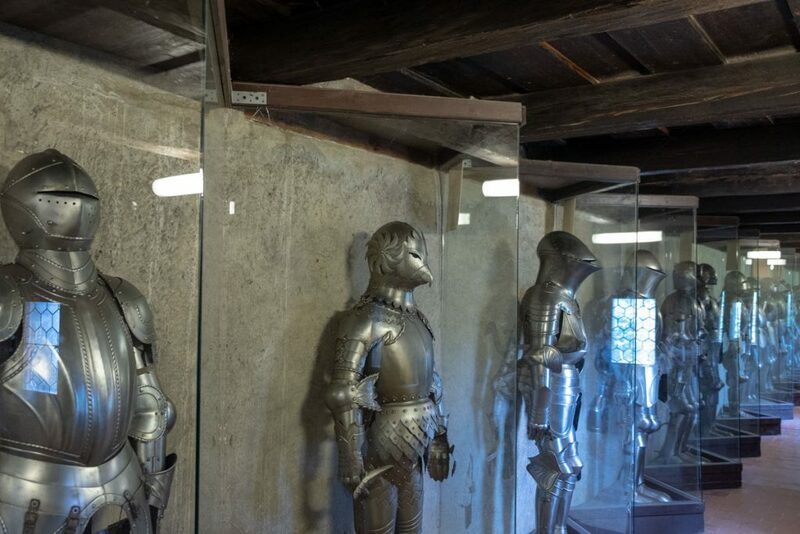 A small museum of armor is on display above the homes, inside the castle wall. 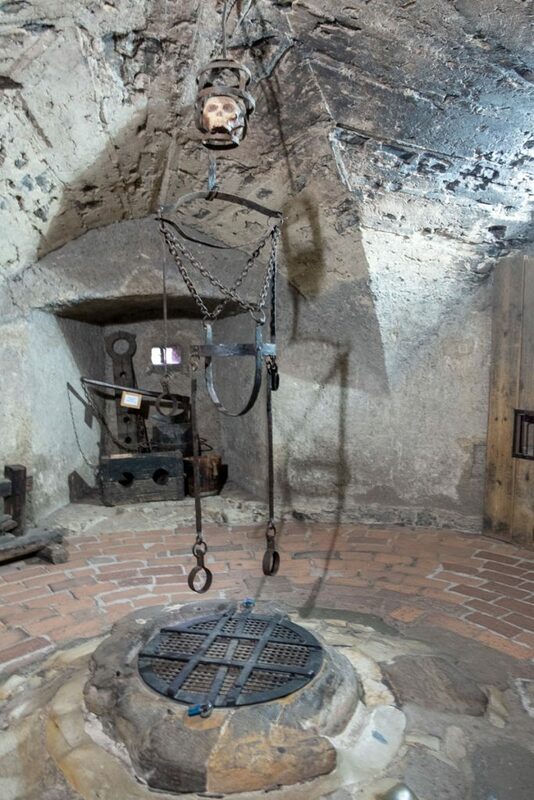 After the Golden Lane you can take a tour of the Dungeon, complete with torture devices. On your way out you walk along the castle wall which has some spectacular views of the city. That’s it for this update. I’ll finish up Prague with the Museum of Communism in the next post. Then it’s on to Vienna.